Dr. Alexandra Blake has the job of a lifetime. As a cutting-edge geneticist at AFIP—the Armed Forces Institute of Pathology in Washington, D.C.—Alex is charged with using her research into the genetics of viruses to find a vaccine against bioterrorism. But the institute’s new director, James Wiatt, wants to turn the AFIP into a mini FBI by directing its resources toward crime solving—an effort to rival the Bureau’s forensic department. When a series of related murders falls under his jurisdiction, he gets his chance to prove the AFIP can compete with the Bureau. Alex is forced to put her research on hold so she can cover forensics on the case, which involves a killer who murders women near military bases across the country and then tattoos their corpses. At first she resents being distracted from her lab work, but as she becomes immersed in the case, Alex resolves to catch the killer. She knows it’s only a matter of time before he leaves some evidence for Alex to trace back to him. But when another murder strikes closer to home for Alex and her colleagues—and her boyfriend, a congressman from Texas—it will take more than forensic science to keep them safe. 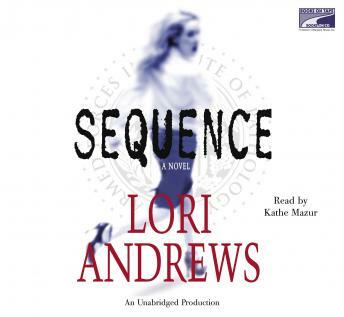 With its spellbinding mix of suspense, forensics, and romance, Lori Andrews’s debut novel signals the arrival of a powerful new writer on the crime fiction shelf.